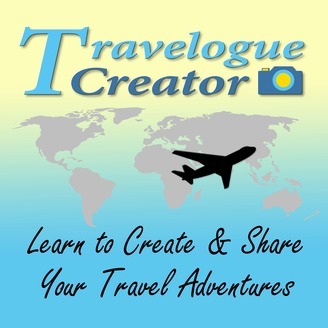 Learn to Create and Share Your Travel Adventures - A podcast for travelers who love to shoot photos and videos on their holidays. 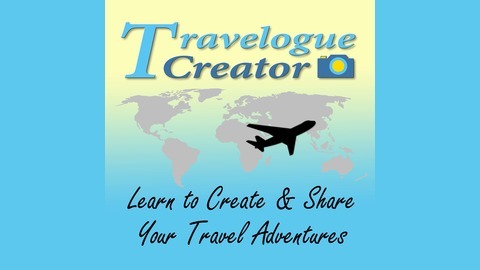 Dan Roitner covers the planning, travel photography, editing and sharing of your travelogue story. Be it simple Facebook posts, photo books, slideshows or learning to make travel movies, everything is kept easy to understand. He brings you a variety of topics to help you pull it all together in a fun and entertaining way. + visit - www.traveloguecreator.com. Putting on a great travel show presentation is the last and equally as important step to creating a memorable travelogue story experience. You want to get it right, after all those miles traveling and hours editing, don’t you? At this point, the same way one would frame an art print on the wall and hang it in the appropriate place. So to are you going to play your travel show of your trip in the best possible way to entertain and do it justice. What I'm going to talk about this time around covers a lot of different types of travelogues. The two basic camps are hard copy (prints, photo album) and digital show file(s) (video or single images). Either way you go, this advice applies to all circumstances to better the odds that your audience can enjoy whatever you are showing. If you do have control of the show environment and delivery all the better to make it ideal and do it justice. The audience has to be comfortable in a suitable venue where your travel show can play with proper video and sound quality. Just look at how movie theatres are set up. If you bring a photobook or pull out your phone/tablet at work, in a pub or on the subway, pick the right moment. You want enough time to tell them about your trip with few distractions. If you post your trip online, there is little you can do with your audience’s environment. You have no control on the setting. They may be looking at your Facebook travel album or playing your YouTube trip video just about anywhere. It may be a little maddening that circumstances may not be as ideal as you wished. There may be screen glare, distractions or have the sound turned off as they watch your well crafted video in line at the bank.